Guest Bio: In 1978, Medicomp Systems pioneered its patented MEDCIN Knowledge Engine, co-designed with physicians, to transform disorganized, complex arrays of medical information into structured, clinically relevant data at the point-of-care. Leveraging its flagship engine, Medicomp’s Quippe suite of solutions uniquely delivers longitudinal patient information within a problem-oriented clinical view, mirroring the way physicians think and work to drive optimal patient outcomes.Quippe also includes wizard-based documentation functionality, which integrates into existing clinical workflows and EHRs, enabling health systems to further enhance EHR usability. With Quippe, healthcare organizations of all sizes can satisfy quality measures and regulatory compliance, increasing physician productivity while effectively positioning themselves for future market demands. Segment overview: Dave Lareau, CEO of Medicomp Systems shares how Medicomp developed technology that thinks and works like a physician at the point of care. 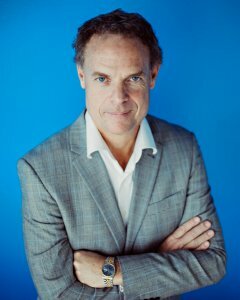 Guest Bio: Dr Aifric Boylan is a practising GP, and Director of Qoctor, a start-up which provides a range of online health services. Originally from Ireland, Aifric completed her medical training at Trinity College Dublin, and went on to pursue a career in general practice. She was also a member of the executive committee of the National Association of General Practitioners in Ireland and has been a regular contributor to the GP Ireland magazine. 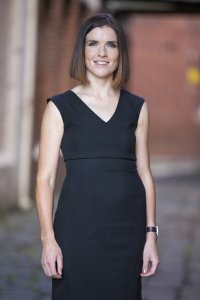 She emigrated to Australia in late 2014, and has very happily settled in Melbourne. Segment overview: In today’s Health Supplier Segment we are joined by Qoctor Director Dr. Aifric Boylan here to discuss their expanded services with the relaunch of Qoctor, formerly Dr Sicknote. Via their platform, patients are offered a range of services, including medical certificates, carers certificates, new and repeat referrals and consultations which are delivered straight to the patients inbox within minutes. Qoctor provides a cheap and safe alternative to deter people from wrongly self-diagnosing with the sheer volume of misleading health information online. Guest Bio: Vidya is a young and talented ehealth entrepreneur with 15 years of experience in medical software industry. NetHealth has been recognised by multiple Australian innovation and start up programs, including named winner of CeBIT PitchFest in 2016. Before founding NetHealth, Vidya worked in various software industry like GE Medical Systems & Philips Medical Systems. Segment overview: In today’s Health Supplier Segment, we welcome Vidya Nallamad, CEO and founder of NetHealth – winner of CeBIT PitchFest 2016. Started in 2013, Net-Health is the most comprehensive software solution provider for the medical industry. It is transforming Australia’s splintered and under-resourced primary and secondary health industry through two sophisticated tele-monitoring apps. Net-HealthData which captures a patient’s vital signs through wireless and Bluetooth connected technology sharing it with the general practitioner in real time, while WebAppoint which allows patients to consult their general practitioner via online-video, reducing the need to physically visit a clinic. CeBIT Australia is Asia Pacific’s largest and longest running business technology event. It offers an independent network of business technology solutions that transform the way Australians do business. CeBIT Australia is the one-stop-shop for all the latest business technology solutions. Offering a diverse variety of exhibitors, regardless of business problem, there will be a solution at CeBIT. CeBIT PitchFest is one of Australia’s premier start-up launch pad platforms. 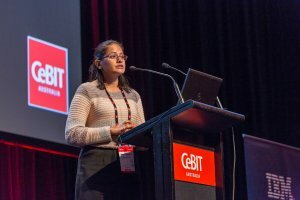 For this year, finalists will go on to pitch their business ideas to a panel of esteemed judges on Day Three of CeBIT Australia, Thursday, 25 May 2017 at the International Convention Centre, Sydney. Guest Bio: Joseph Krainin, M.D., FAASM is board-certified in both sleep medicine and neurology and is the founder of Singular Sleep offering affordable home sleep apnea test and patient consultations with a sleep doctor online. Segment overview: In this Health Supplier Segment, Dr. Joseph Krainin discusses Singular Sleep, a national sleep telemedicine practice. He is considered to be a clinical telemedicine thought leader and is a sought-after speaker and commentator in the field. 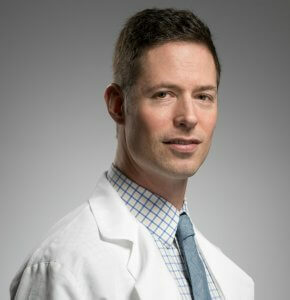 Guest Bio: Dr. Henry Boucher is fellowship trained orthopaedic surgeon at MedStar Union Memorial Hospital in Baltimore, specializing in primary, revision and partial knee replacements, as well as primary (anterior, posterior and anterolateral approaches) and revision hip replacement and hip resurfacing. 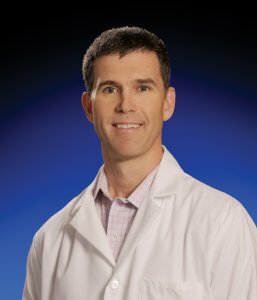 Dr. Boucher also offers non-surgical stem cell treatments for degenerative diseases of the hip and knee. Segment overview: Dr. Henry Boucher discusses MAKO Robotic Total Knee Replacement. Guest Bio: David Fetterolf has 22 years of experience working for healthcare information technology and service companies. 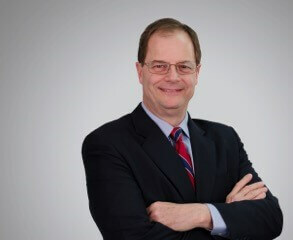 He currently serves as the president and CEO of Stratus Video, a leading provider of medical interpretation solutions. David earned a bachelor’s degree in electrical engineering from Cornell University and a Masters of Business Administration from The Wharton School at the University of Pennsylvania. Segment overview: In this segment, David Fetterolf talks about how Stratus Video is addressing a major need for hospitals across the nation by providing interpreter services to non-English-speaking patients and doctors. Guest Bio: Marcia Deutsch has a unique career background, combining medical expertise as a registered nurse with years of entrepreneurial success. MES is her second successful business venture. 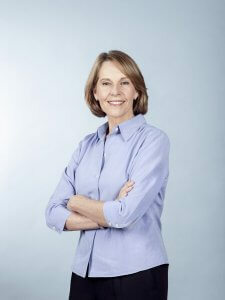 Prior to MES, Marcia was the founder and CEO of MedCap Medical Cost Management, a company that provided hospital bill auditing services to major health insurance companies. Marcia founded MedCap in 1988 and grew the company to become the leading medical bill-auditing firm in the Western United States. Segment overview: In this segment, Marcia Deutsch talks about the YO app, a home sperm test that uses smartphone technology to report the motile sperm concentration (the number of moving sperm) and provides a live sperm video – all from the comfort of a smartphone. 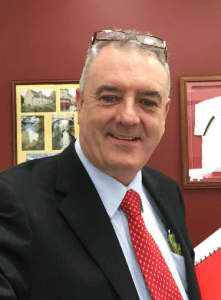 Guest Bio: Tony Holland has been with OzHelp for more than four years. Tony is the Chief Executive Officer and leads a team of 25 staff in the head office in Canberra, as well as the Pilbara and Darwin. Tony was previously CEO of the Arthritis Foundation, ACT, as well as Business Manager of Christian Schools Tasmania. Tony joined the PANDA board in 2016. Segment overview: In today’s Health Supplier Segment, we are joined by Tony Holland CEO of OzHelp Foundation here to share his insights on the report released by Orygen titled “Raising the Bar for Youth Suicide Prevention.” OzHelp is the leading not-for-profit in Australia with a focus on suicide prevention and is moving to provide support through web-based programs working in concert with local services to identify people at risk and support them with information, advice and referrals. 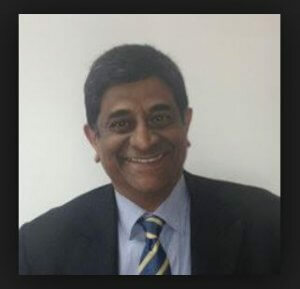 Guest Bio: Mathew Cherian has worked in the information technology industry since 1981. 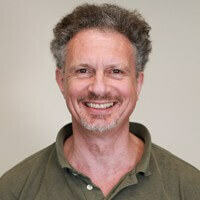 In 1985 he established Working Systems Software Pty Ltd in Perth, Western Australia. Mr Cherian was appointed CEO and Managing Director of the Company in January 2002 with the aim to refocus on products and services exclusively for the healthcare industry. The initial phase culminated with the rebranding of the Company as Global Health Limited in December 2007. Mr Cherian plays an active role in product strategy and the development of overseas markets. Segment overview: In today’s Health Supplier Segment, we welcome Global Health CEO Mathew Cherian to talk about their recent collaboration with HealtKit to allow their customers exchange correspondence with ReferralNet secure messaging subscribers. Global Health Limited’s ReferralNet Secure Messaging platform enables HealthKit users to send and receive correspondence in compliance with Australian national standards for Secure Message Delivery. Global Health is a leading provider of Digital Health solutions that address the needs of administrators, funders, clinicians and consumers across the healthcare industry whilst HealthKit is a global health platform for patients and practitioners that is making healthcare efficient, effective and accessible for everyone everywhere.